As we celebrate the beginning of a new year, many of us will use this opportunity to make resolutions to lose weight, stop smoking, spend more time with family. Some people even resolve to take care of the smile they’ve been hiding. At Long Grove Dental Studio, we can help you fulfill your resolution to get the smile of your dreams so you can stop hiding and start smiling. Time and life itself can take a toll on our smiles. And that’s nothing to be embarrassed about. In fact, sometimes genetics, accidents, or simply aging can result in a less than ideal smile. Don’t worry. 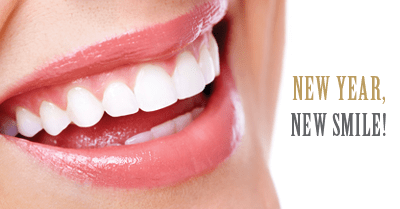 A lot of the teeth trouble we see can be easily fixed with our Long Grove cosmetic dentistry options. At Long Grove Dental Studio, we offer a variety of cosmetic dentistry options to take your smile from hidden to vivid. Whether you need a professional whitening treatment to brighten your smile, veneers to enhance the aesthetics of your teeth, or a complete smile makeover, we’re here to help. With the New Year upon us, there’s never been a better time to start fresh with a new smile. If you’re ready to reveal your smile in 2014, give Long Grove Dental Studio a call today. We’ll discuss your smile goals and work together to determine the best cosmetic dentistry options for you. Don’t wait. A new smile – and a new you – are closer than you think.